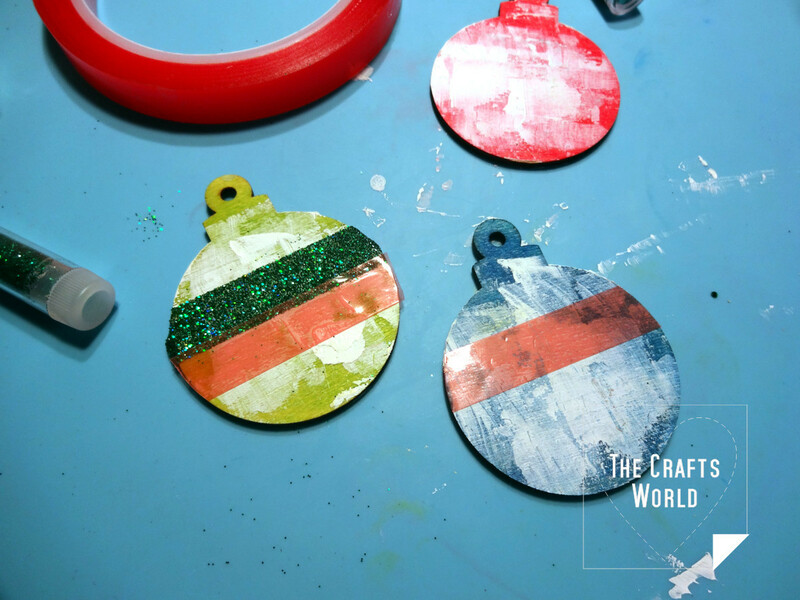 Use the wooden shapes to make ornaments for the tree full of color and sparkle. 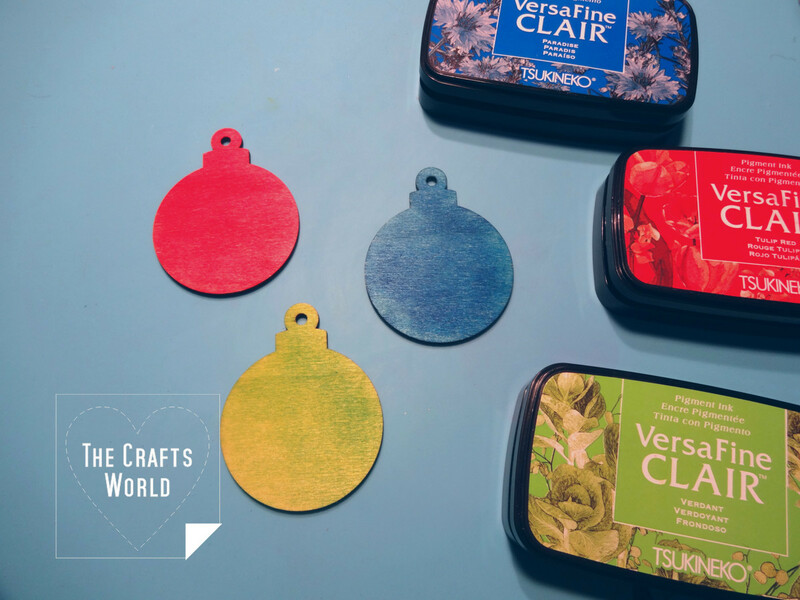 Color the wooden baubles with the VersaFine CLAIR ink pads on both sides. 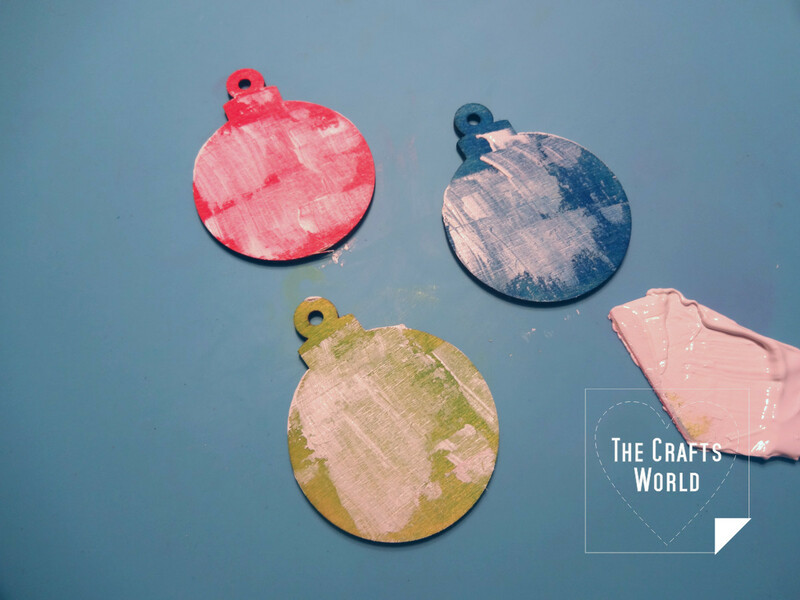 Use a palette knife to distress some paster on the baubles’ surface. 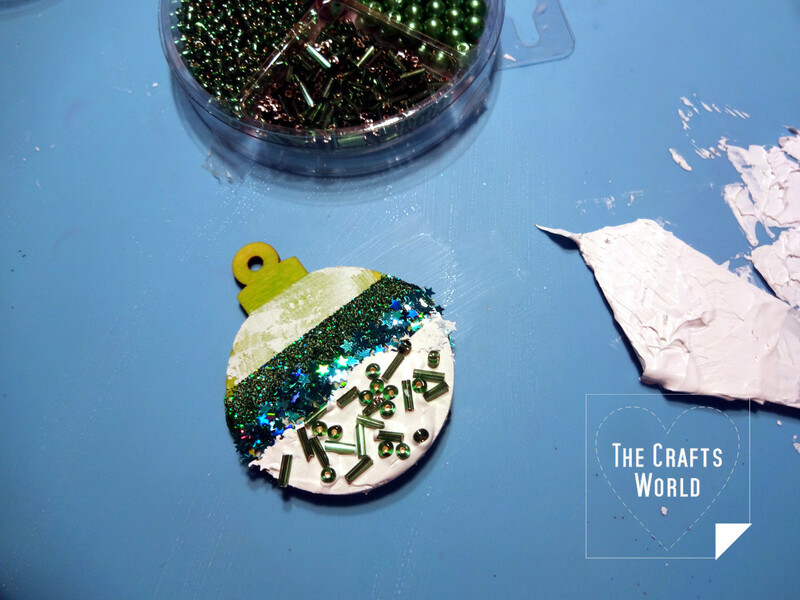 Place double sided tape and sprinkle with the same color to the bauble glitter. 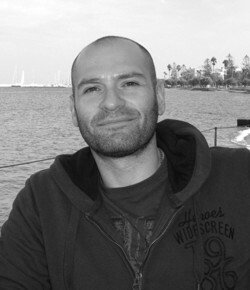 Remove the excess. 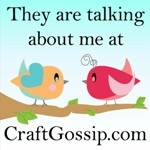 Place a bit a lower double sided tape and add flakes. 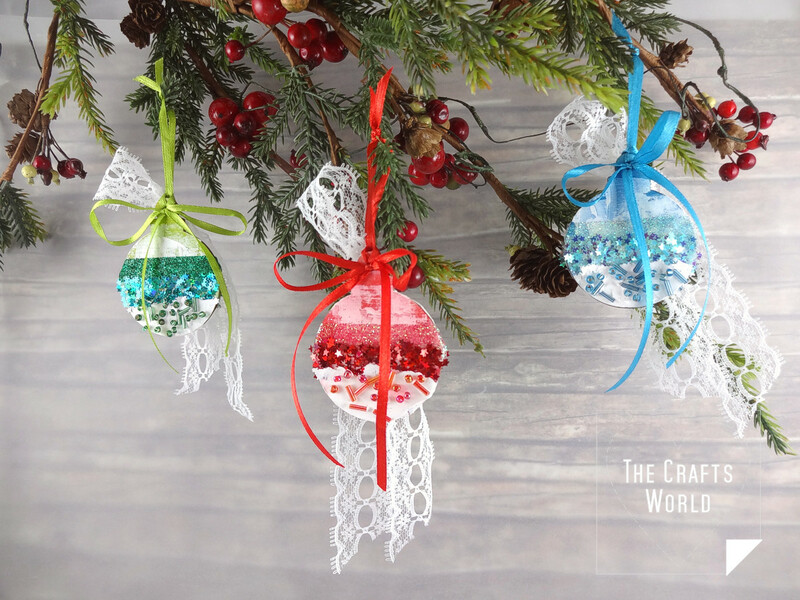 Repeat to all baubles and all sides. Place a thick layer of the modelling paste and sprinkle with few beads. Let them to dry. 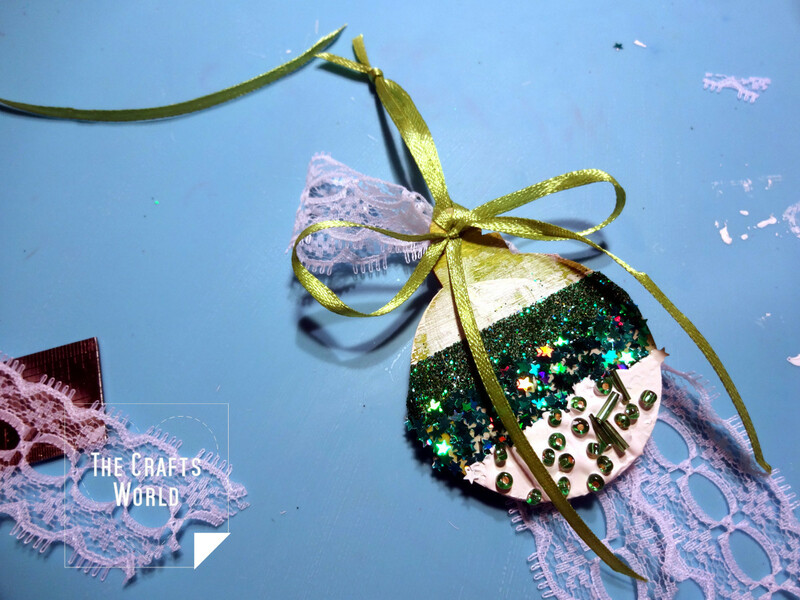 Cut about 14cm long pieces of lace and tie with matching to the bauble satin ribbon.